Памер папярэдняга прагляду: 450 × 600 пікселяў. Іншыя разрозненні: 180 × 240 пікселяў | 480 × 640 пікселяў. English: United Nations Secretary-General Kofi Annan uploaded to the English Wikipedia by en:User:Hajor. Photograph copied from the website of Agência Brasil, which states: :The Agência Brasil makes images and photos available free of charge. To comply with existing law, we kindly request our users to list the credits as in the example: photographer's name/ABr. This photo appeared as 11160.jpg on 14.Nov.2003. The photo was downloaded, cropped, and resized by Hajor. 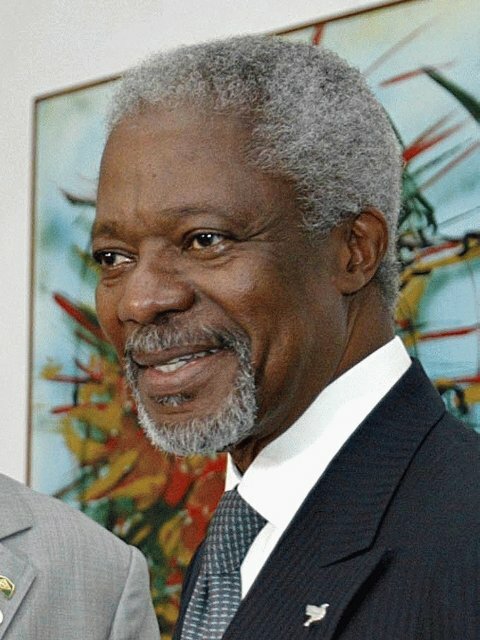 Tiếng Việt: Kofi Annan nói chuyện với báo chí ở Roma trong một chuyến đi đến Ý trong tháng 4 năm 2004.